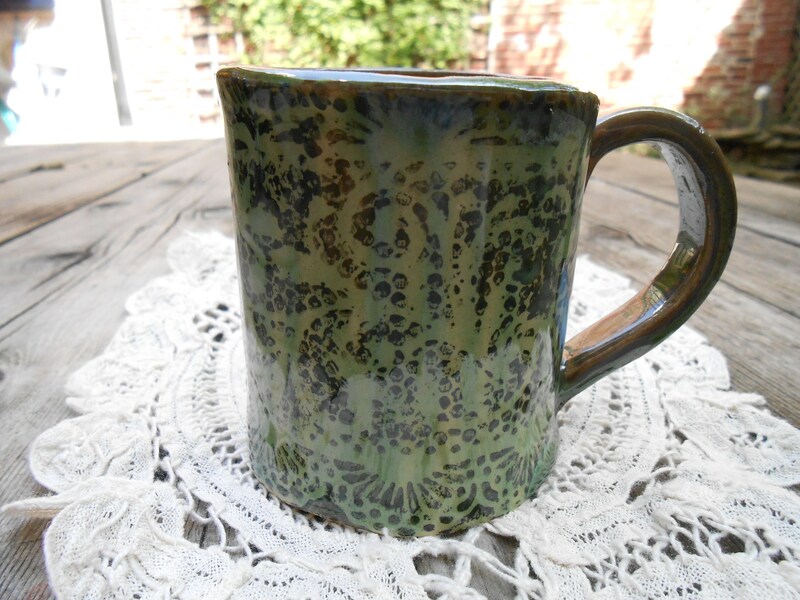 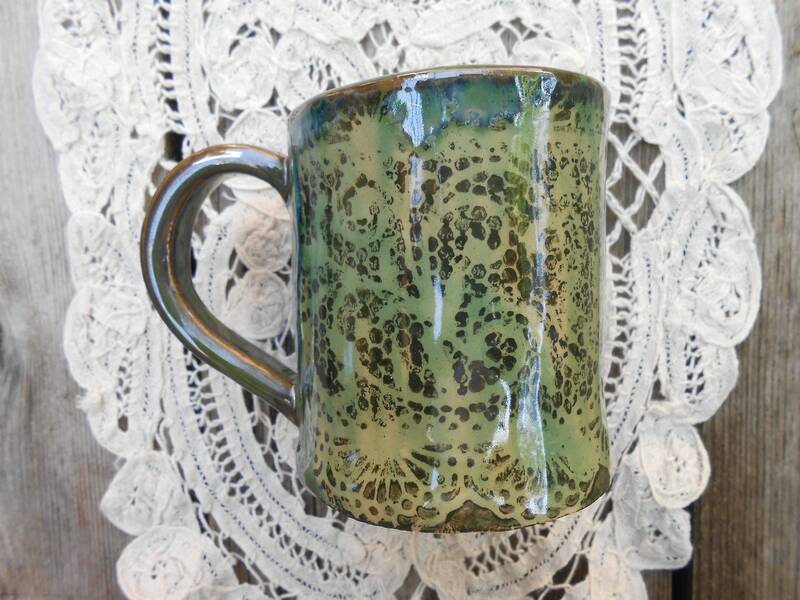 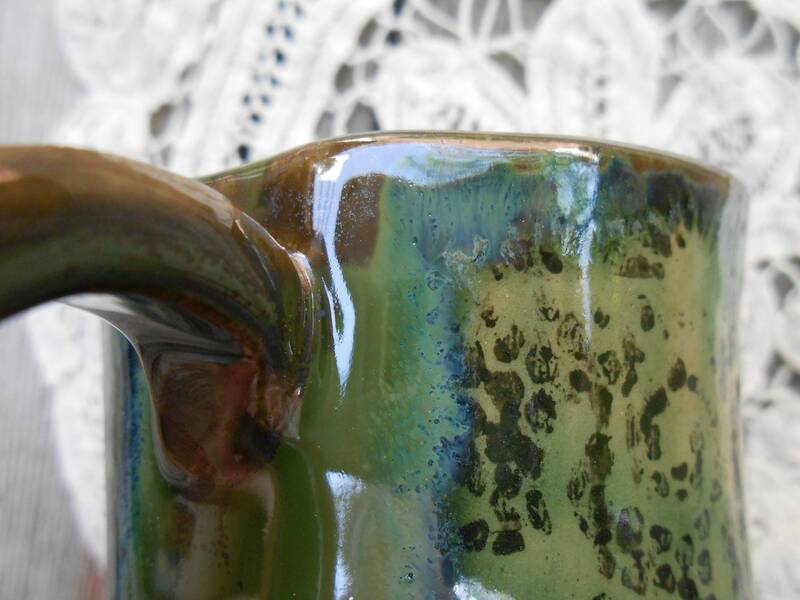 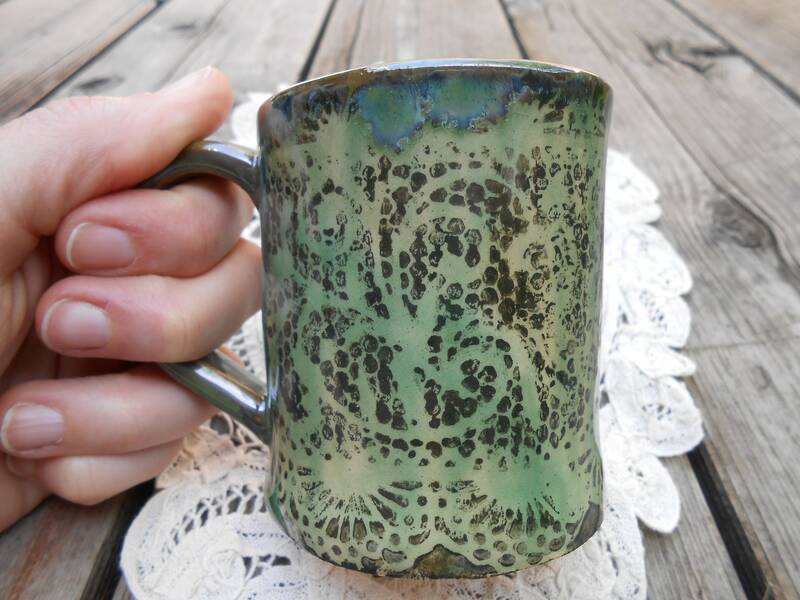 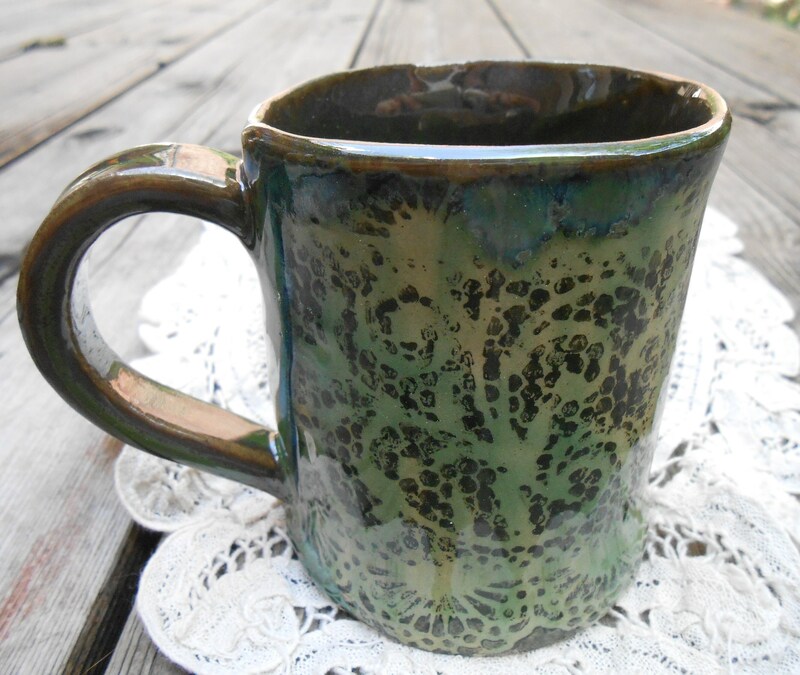 This hand built stoneware ceramic mug has a visual lace texture; deep hunter green markings accentuated by a light grass celadon glaze. 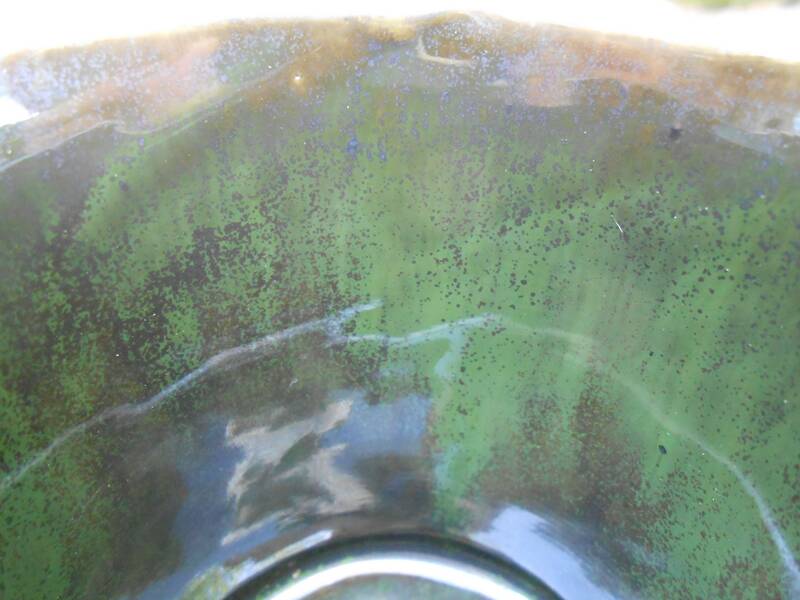 The interior is a mottled moss green, as is the handle. 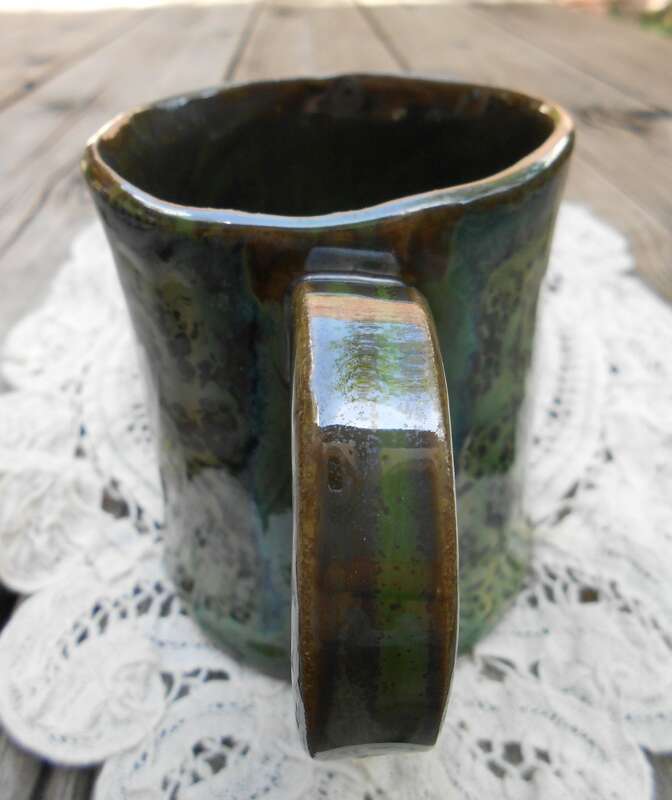 Light, small mug, perfect for your morning coffee. 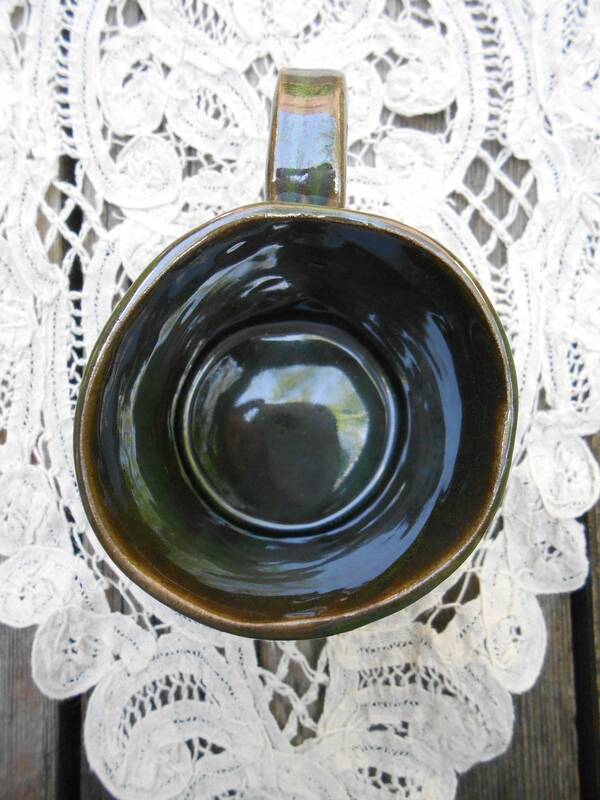 Food, dishwasher safe. 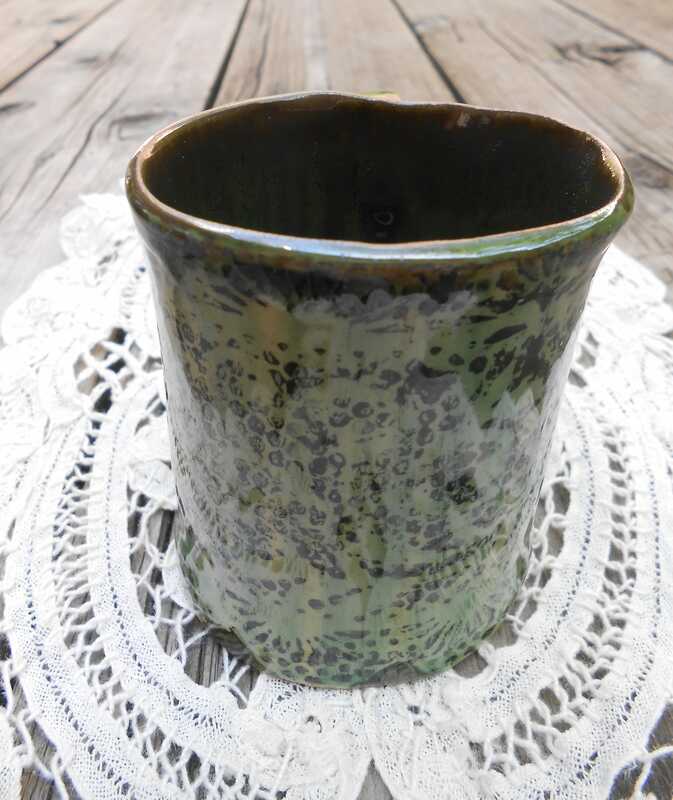 Measures 3 1/4" x 2 1/2"